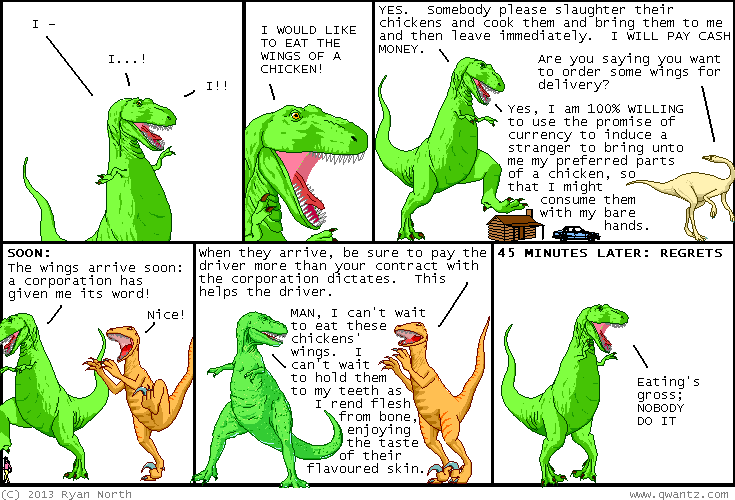 Dinosaur Comics - April 1st, 2013 - awesome fun times! –Time to go and get some HEARTY MAN SLEEP! One year ago today: my research indicates that nobody has played super nintendo in space yet. will YOU be the first to ride yoshi in the void? it seems likely.